•	How did humanity come into being? •	How can every person be a unique creation? •	What are we called to do with our lives? •	What is the nature of our relationship to others? •	Is there a God and, if so, what role does God play in our lives? •	Is there life beyond death? But when we are faced with a crisis, such as the death of a loved one, we can be overwhelmed by these questions. We seek answers where before we didn’t even have questions. I maintain everyone has a theology—a perspective on life from which we establish values and priorities. Granted, many theologies are not very detailed—maybe not even enlightened. As a pastor I’ve heard some unusual theologies present themselves when the bereaved try to make sense of their situation. However, to question grief stricken persons’ beliefs or to take issue with them would be very insensitive and unkind. There are many things in life we don’t understand. Death is certainly one of them. How can a body with a vital presence and personality suddenly stop functioning? What happens to this spirit that has been such a significant part of our life? Can this spirit manifest itself in ways we don’t quite comprehend and certainly can’t prove? Dr. Scott Peck in his book, Further Along the Road Less Traveled, defines four stages of spiritual growth. The fourth stage is being content to live with the mysteries of life. People joke that the three most difficult words for a man to utter are, “I don’t know.” The older I get the more I find myself respecting someone—male or female—who has the wisdom and courage to make that confession. Throughout the decades and centuries science may have explained many things that were inexplicable to our ancestors. However, some things still transcend knowledge and definition. I place death in that category. Why are we far more inclined to accept birth than death, particularly the death of a loved one? Since death is as normal and natural as birth, why do we view it from an entirely different perspective? It is a wise person who has struggled with the great questions of life and death long before being faced with the loss of a loved one. Faith can be a great source of comfort, but the doctrinal aspects of faith seldom provide that comfort. I’m reminded of a comment made by a friend and Roman Catholic sister, Mary Jo Ritter: “When it comes to matters of doctrine and dogma, I have a difficult time getting past the belief that God is love.” It is God’s love expressed through the actions of friends and family where the bereaved finds the most comfort. Wise persons realize they do not have to have answers to all their questions and are content to live with mystery. It’s very human to want certainty in life, but faith, by definition, is not certainty. Personally, I’ve come to view death as a time when our spirit is no longer encumbered by an aging, ailing, or injured body. I must confess as I get older and deal with a myriad of health issues, my spirit certainly feels encumbered. Rev. Eugene Blake, B.S., M.Div., is a retired Presbyterian pastor. He has served churches in Iowa and Kansas. In addition to usual pastoral duties, while at First Presbyterian Church Winfield, Kansas, he led a bereavement support group co-sponsored by Cowley County Hospice. When he was president of the board of directors of that organization, the decision was made to merge with what was to become Harry Hynes Memorial Hospice in Wichita, Kansas. In retirement, Gene has become a freelance writer, primarily writing articles for Meredith Corp. 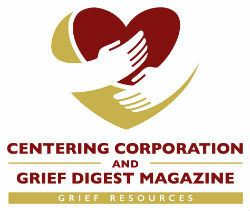 Along with Sherry Phillips, he has co-authored Landscape of Loss, My Grief Journey which is available through Centering Corp.